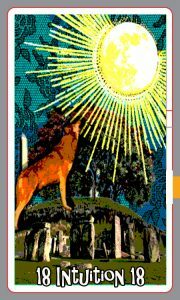 Having already explained Echo cards in tarot layouts, I thought it was a good time to talk about Ghost cards, so what exactly are these cards? These are cards that hold a shadow of meaning in nearly every reading but are not the same or even a single card. Ghost cards set the tone of a reading, they become apparent when a number of layouts seem to carry the same theme. Interpreting the cards can still hold accuracy for the question asked, but within this a theme keeps coming up which is related to card content rather than meaning. 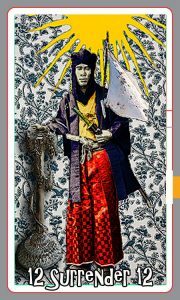 For example if you notice in a single layout that there are a number of cards with stars, mountains, archways, single colour or clouds, these hold significance (check out Learn Tarot for card symbolism, please note that symbols are not tarot specific and references are often found in oracle cards also), for that reading and are often ignored by readers. In a single layout they will show underlying issues or present a behaviour, belief or aspect of your life that needs redirecting. When ghost cards present themselves over a number of readings or layouts, they have an even greater significance. 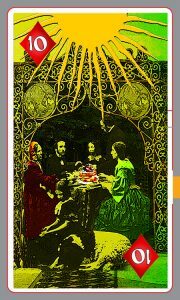 These cards offer a rich and specific addition by revealing the hidden aspects that are driving situations in an ongoing fashion, the issues may change but the driving force behind them doesn’t necessarily. In that respect, ghost cards can be seen as soul cards, they target those parts of your character, personality or understanding, that need to be evolved to change your experience in day to day life. This is particularly valuable where you find life recycling challenging patterns and/or you feel you just keep making the same mistakes and don’t understand why. Ghost cards are not individual like Echo cards but a number of cards over a series of layouts. It is likely you will find cards with clouds, for example, in most readings, but when you notice a number of cloud cards in a layout or repeatedly showing up over a number of readings, you are seeing Ghost cards. You are looking for the elements of pictorials in the cards, that can be planetary references, say Pluto keeps popping up, or planets in general it is a good idea to look into the meaning and work out the relevance in your life. 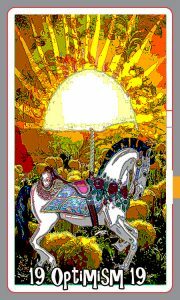 As a reader if you notice mountains repeated in cards over a number of readings for someone or yourself, it might be time to suggest the querant doesn’t need to do everything the hard way, and work through the process of manifestation, listening to advice or even doing their homework before committing to things. People without concerns don’t get readings, that means every reading will offer clues beyond the situation, position, question or overall card meaning. Looking for ghost cards will take your readings to a whole new level, add echo cards and you will find a wealth of information that personalizes the information relating it specifically to that persons life.